This chapter performs a systematic evaluation of two domain models and modeling languages – UML and OWL. A semiotic quality framework is used to evaluate a UML class model and an OWL ontology model in the travel domain. Next, an extended semiotic quality framework is used to evaluate the OWL language. Furthermore, we compare UML and OWL through the joint evaluation result. The comparison of the two languages highlighted the strengths and weaknesses of the two modeling languages from a semiotic perspective. 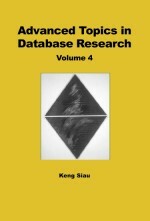 This evaluation is to assist researchers in the selection and justification of modeling languages in specific scenarios.